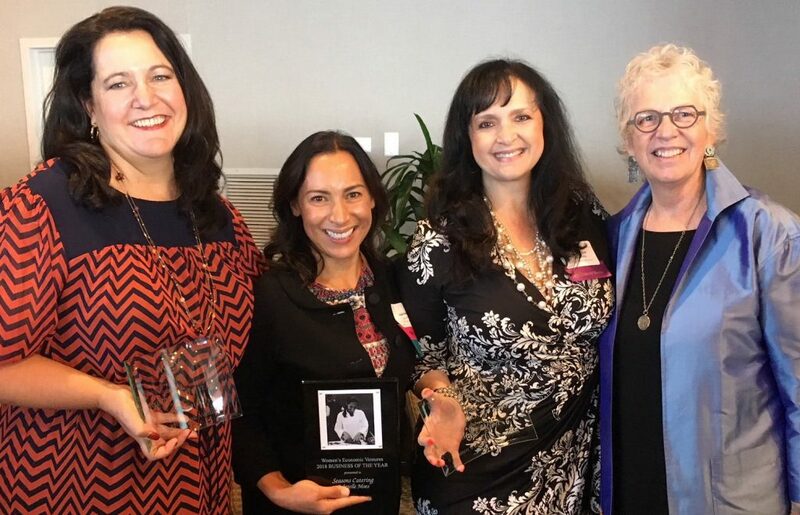 Women’s Economic Ventures’ (WEV) welcomed nearly 300 guests and raised $135,000 at their Empowerment is Priceless event held on October 11th at the Crowne Plaza Ventura Beach in Ventura. The annual breakfast fundraiser recognized WEV’s 2018 Trailblazer, Business of the Year and Volunteer of the Year award winners. Guests at the event interacted with featured WEV client businesses who shared their personal experiences as entrepreneurs and how their businesses have evolved with the support of WEV’s programs. WEV presents the Trailblazer Award to a woman who is a pioneer in her industry, exemplifying courage, vision and the tenacity to overcome barriers. This year, WEV honored Mary Olson, the General Manager of KCLU Radio who is part of the original team that signed KCLU on the air in 1994. WEV’s Business of the Year award honors a business owner who represents the clients the organization serves and recognizes the unique and inspiring nature of a business. The 2018 winner is Gabrielle Moes, owner of Seasons Catering, who wrote her business plan in a WEV business training course 20 years ago. Today, the company employs over 70 people and operates in Santa Barbara, Ventura and Los Angeles counties. As a member of WEV’s Million Dollar Club, Moes has grown the company to over one million dollars in annual revenue, a milestone that only 2% of woman-owned businesses achieve. WEV also honored Lynnette Coverly of Coverly Professional Services as Volunteer of the Year. Since 2004, Coverly has been a frequent guest speaker in WEV classes, and meets with students one-on-one to discuss their specific marketing needs. She also serves on both WEV’s Community Advisory Council in Ventura County and the I Love Local Business campaign committee. Major sponsors of the 2018 Empowerment is Priceless event were City National Bank, Pacific Western Bank, Ventura County Credit Union, JP Morgan Chase & Co., and Montecito Bank & Trust. All proceeds raised will directly benefit clients through programs in Ventura and Santa Barbara Counties including: Smart Entrepreneural Training (SET), Thrive, WEV en Español and the WEV Loan Program. Women’s Economic Ventures is dedicated to creating an equitable and just society through the economic empowerment of women. WEV provides training, consulting and loans to help entrepreneurs start, grow and thrive in business. WEV serves all of Santa Barbara and Ventura counties from offices in Santa Barbara, Ventura and Santa Maria. While WEV targets its services toward women, it helps men as well, and provides many services in English and Spanish. 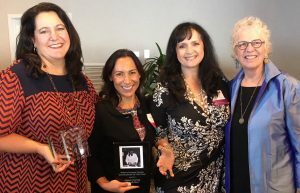 Since 1991, WEV has provided business training and consulting to over 14,000 women and men throughout Santa Barbara and Ventura counties, and made more than $5 million in loans, assisting over 4,000 local businesses. WEV is a U.S. Small Business Administration’s Women’s Business Center, and a certified Community Development Financial Institution (CDFI). A pioneer in the field, WEV was founded by Marsha Bailey, a nationally recognized advocate for women business owners. Marsha recently completed her tenures on the National Women’s Business Council and as board president of the national Association of Women’s Business Centers. Driving Business Performance – what’s on your DASHBOARD? New Year’s Resolution #1: This January I WILL do a Cash Flow Forecast for my business! Calla Gold on Meet WEV’s Fabulous Instructors! Danelle M. on New Year’s Resolutions: Love ‘em or Leave ‘em? Parking is available on the street or in the parking lot off Lou Dillon Drive. WEV only has one space available in the front lot. *Appointments are preferred; please call ahead before stopping by, as our Ventura staff members frequently work in other locations. WEV's office is located in the back of the 'Financial' building if facing the building from Maple Court.